What do you make of suffering? Suffering is something every human being experiences in one way or another be it physical, emotional, or spiritual. Though it is part of the human condition in a fallen world, many of us go to great lengths to avoid suffering. I caught myself momentarily withholding information from the dentist last week because I didn't want to suffer having a cavity filled! As hard as it is to grasp sometimes, God does have a purpose in the midst of suffering. If we are to live and grow in relationship with Christ, it is critical for us to trust God's purpose in the midst of suffering instead of trying to avoid it. This Sunday's passage should equip us to do just that. 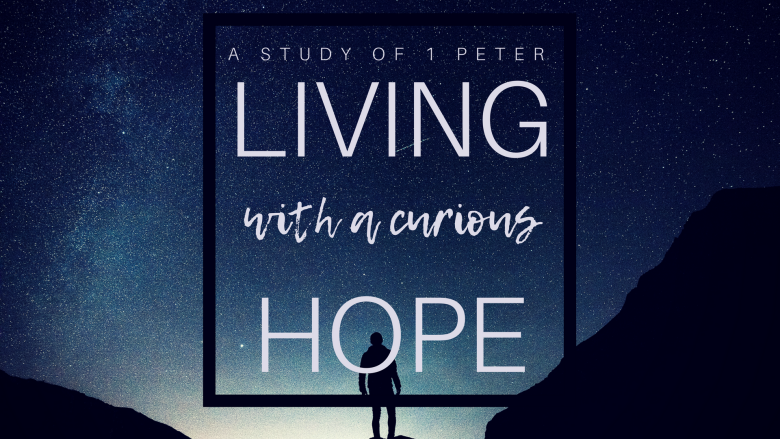 "Living with a Curious Hope" is a new series studying the book of 1 Peter. Within the book you'll find a command that is based on a certain presumption -- that we are living such hopeful lives, even during hard times, that those who witness it will ask where our hope comes from. It's a presumption that challenges me. I wonder if it challenges you too? Do you have people asking about your faith? We will also be challenged to understand at a deeper level than the quick "sound bite" lesson. There are passages here that could easily be taken out of context and misused. Passages about suffering, beauty, and a faith that is visible. Even curious. There is more here in 1 Peter that we will explore together.